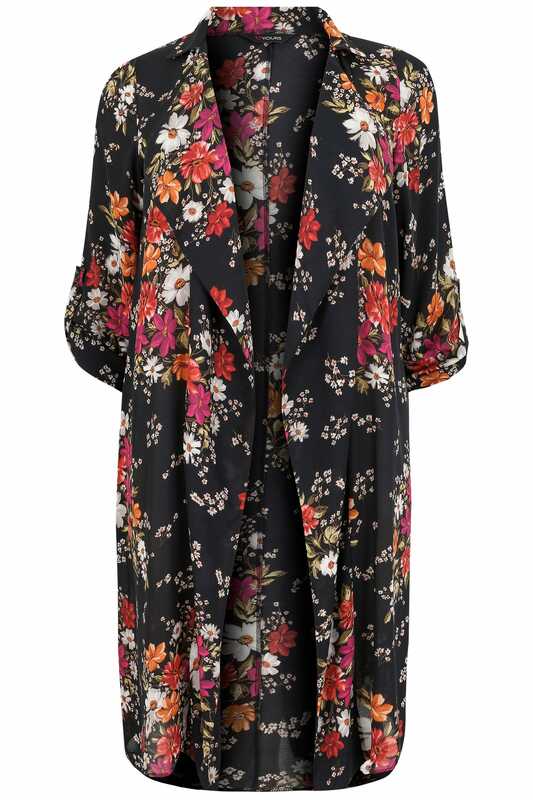 Made from a lightweight crepe fabric, this super chic duster jacket is the perfect layering piece for transitional seasonal wear. Style with skinny jeans and a woven cami top for an on trend casual look. We love the waterfall close and the pretty floral print!